We were inspired by a similar app, called PhotoMath, which can quickly produce solutions to complex mathematical problems based on a handwritten picture. We wanted to see what it would take to implement our own version of the app. We were successfully able to train a neural network that can evaluate handwritten expressions within a degree of accuracy. In addition, as an intermediate step, we were able to develop a procedure for quickly generating large amounts of training data from a small collected sample, which could possibly have many other useful applications. 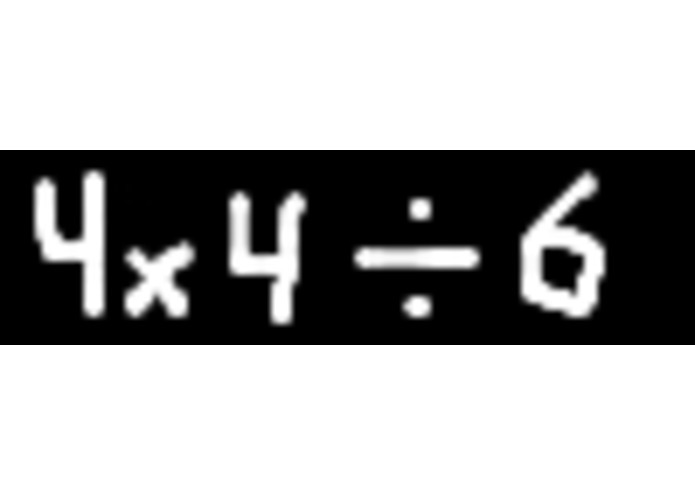 Next, we plan to add support for floating point numbers, and add additional features such as an algebraic solver and more symbols and operations such as exponents.